The Conestoga Buildings team recently completed a simple white post frame garage in Herndon, VA for a family that needed more space for vehicles and storage. 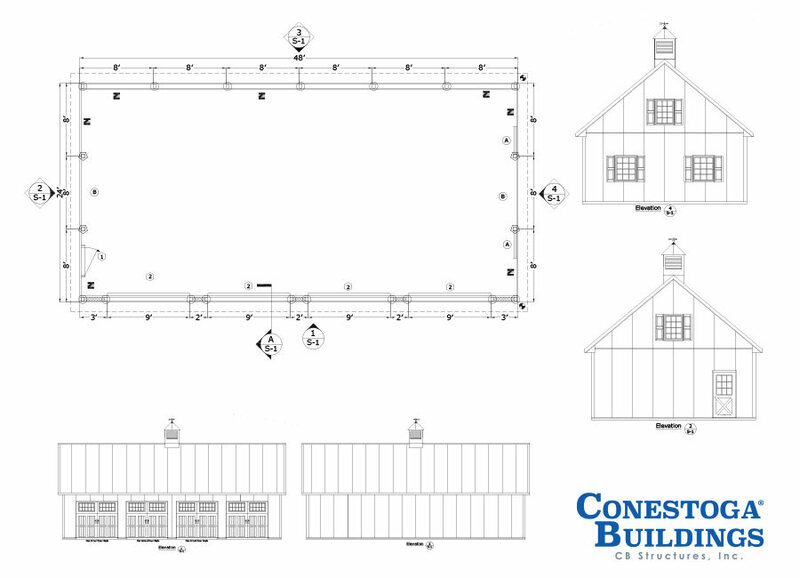 As an experienced post-frame builder, we’ve designed many garages and pole barns in Virginia for both residential and commercial purposes. 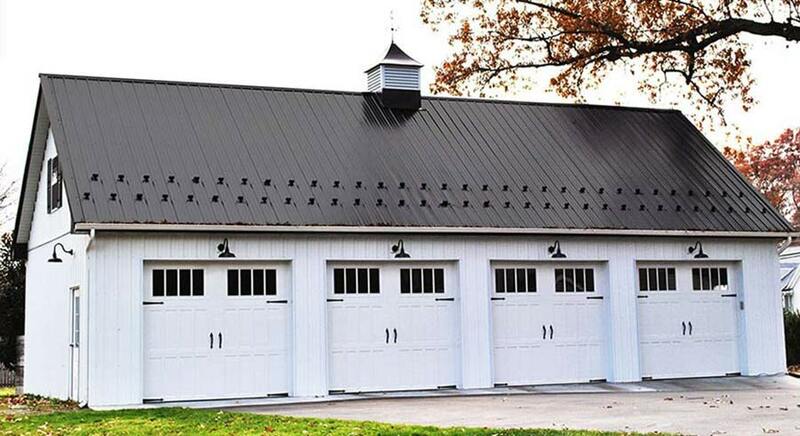 Keep reading to learn more about this beautiful post frame, carriage style garage. This project began when our clients realized the need for more storage space for vehicles, landscaping equipment and ATVs. With a small farm and three children with a love of dirt bikes and four wheelers, their old two car garage just couldn’t accommodate all of their “stuff” anymore. Our clients wanted something to match their farm house that would look classic and clean, so they sat down with one of our salesmen and worked together to design a space to meet all of their needs, while staying within a tight budget. The results speak for themselves. Not only were our clients happy with the garage, our design team was thrilled with the aesthetic appeal this 4 bay garage offers. This busy farm family now has space for all their vehicles, ATVs, gardening equipment and lawn mower, and additional farm supplies. Has this project inspired you to get started with your dream garage? We’d love to talk numbers and help you design something to fit your style and your needs. Contact us today to speak to one of our team members!